“You never know how strong you are until you have to be” a statement that will be associated with our Niamh forever. Niamh passed away on March 29, 2018 after a nine month battle with cancer. During the early months of 2017 Niamh had been experiencing some pain in her lower back area which was hoped to be bulging discs or sciatica but after travelling on a foreign holiday in June we thought a MRI must be sought to establish what was the cause of Niamh’s pain as she was in severe discomfort for the majority of our family holiday. On June 29 Niamh’s cancer journey began, the day she went for her MRI. This was followed with blood tests, CT scans and biopsies and on July 5 2017 she was told she had a tumour on her left pelvic bone. Niamh described that day as “the day her life would change forever” in her blog Niamh’s Journey There. Niamh began to share her story through her blog with her first post on July 17, 2017. She was in the very early stages of her diagnosis when she began her blog but she found great comfort in sharing her story, hoping it would help someone else that may be in the same situation as herself. Through her blogging she was commended by many for her ability to tell her story, her courageousness in fighting her illness and her honesty. At first doctors found it difficult to determine the exact type of bone cancer Niamh had, it was suggested it could be Chondrosarcoma, Ewings Sarcoma or Osteosarcoma. Niamh received her cancer diagnosis in Sligo General Hospital and frequented the hospital for pain relieve. It was suggested here that she travel to the Royal Orthopaedic Hospital in Birmingham for a biopsy. After Niamh returned from Birmingham, she was in The Mater Hospital, for her chemotherapy and then onto St Luke's Hospital in Dublin where she received her radiotherapy. We Niamh’s parents, Denis and Liz, sister Emma and brother David would like to thank each and every nurse and doctor that cared for Niamh in anyway during her times in the different hospitals. We would also like to express our gratitude to Niamh’s own GP Dr Marian Brogan along with the public health nurse and the pallative home care team for their care and support. Through her Facebook page and blog Niamh had all of the hard work of highlighting her illness done. We as a family were really facing the unknown as in what treatment Niamh would need, where would we have to travel to seek the appropriate treatment, how much was it going to cost, etc, so with the help of family, friends and neighbours a Go Fund Me page along with a fundraising committee were set up. The support and generosity of people was over-whelming and it would be impossible for us to thank each person individually. We would like to thank all the people who contributed to the Go Fund Me page so generously. Thank you to the Niamh’s Journey There committee, for your support of our family, your time and hard work in co-ordinating events. There were a number of events organised in a matter of days of the fundraising campaign being launched and we would like to sincerely thank each and every person who organised an event in aid of Niamh. Thank you for thinking of Niamh and getting behind our fundraising efforts, thank you for your hard work and effort in organising your event, thank you to the people who helped you in organising your event and thank you to the people who supported your event. No event went unnoticed, and we would like to thank you from the bottom of our hearts for your hard work and efforts. We will never be able to repay your kindness and generosity but will always remember you in our prayers. 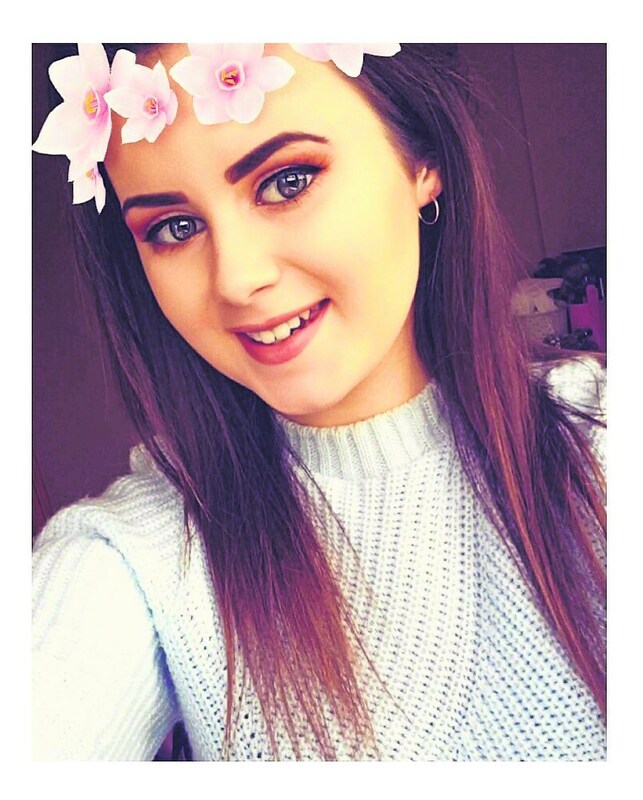 Niamh was over whelmed with the support and kindness shown to her throughout her illness, it gave her great encouragement, strength and determination to fight on. Through all the different fundraising efforts a significant amount of money was raised. This fundraising money was raised in the hope of travelling abroad for treatment, but unfortunately it was not to be. The remaining funds have been donated to the following charities: The North West Hospice, Sligo Hospital Oncology Unit Trust – SHOUT, The Irish Cancer Society, The Mater Foundation, St Vincent’s Foundation, and The friends of St Lukes, Rathgar, The Cancer Support Centre Sligo and a number of cancer patients Niamh had been in contact with through her blog. Niamh fought to the very end with a smile on her face. She published what was to be her last blog post on March 2, 2018 and called it “Twenty and My Journey Continues”. This blog was described as a “frank and moving” blog post and one thing she hoped people would take from reading it was “Do what YOU want and what makes YOU happy”. Niamh’s first anniversary Mass will be celebrated on Saturday, March 30 at 1:00pm in St Attracta’s Church, Killaraght, Boyle, Co Sligo.